Brush both sides of bread with olive oil. 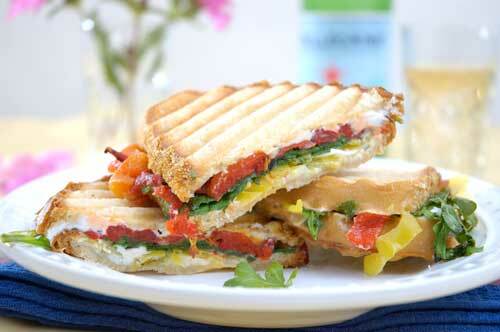 Use a panini press or skillet to crisp the sandwiches. Remove when golden brown and the cheese warms and softens.